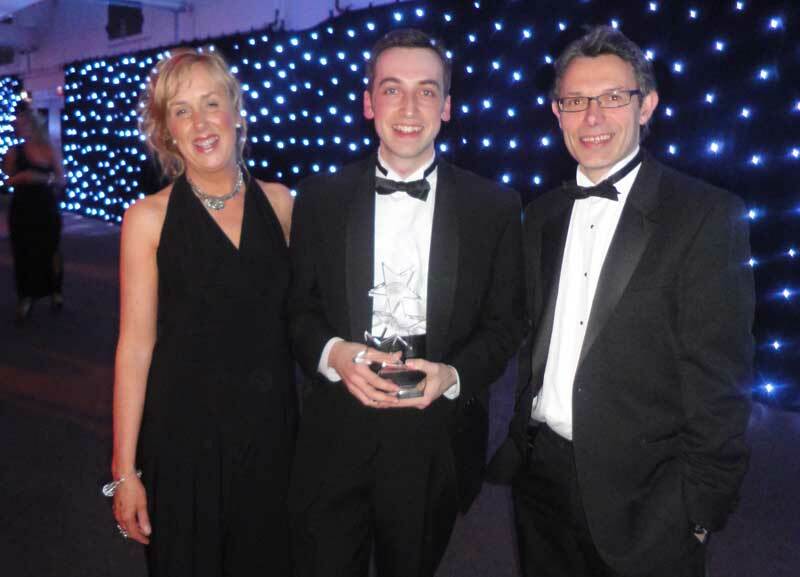 Our HND Year 2 student Steven Brown was named Star Creative Student of the Year at the Marketing Society Star Awards last night. Helena and I were delighted to be there to celebrate with Steven, alongside his Mum and his fiancee Natalie. The Awards, held this year at the Corn Exchange in Edinburgh, recognise creative and marketing talent across Scotland. TV and Radio personality Kaye Adams hosted the event, which saw more than 400 practitioners and professionals from many of Scotland's top agencies and marketing teams gather to celebrate the best creative work of the year. 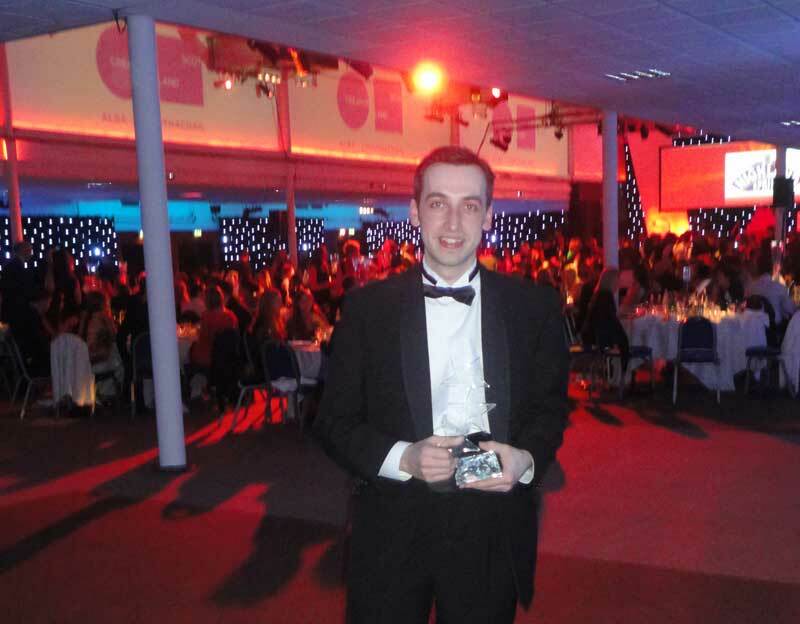 Steven was shortlisted for the award back in May, along with five other students from the Universities of Dundee, and Edinburgh's Napier. As well as the trophy and accolade that goes with this achievement, Steven has the offer of a placement at each of three of Scotland's top agencies - Multiply, Redpath and The Union. He also received an invite from the Leith Agency to join their apprentice-style interview day, a day-long project as part of the agency's Hotdesk program. Check out the full list of award winners, plus photographs of the night, on the Marketing Society's website. © 2009-2017 welovedesign,etc | All Rights Reserved. Oswald and Open Sans courtesy of Google Fonts. Script quote by Kiera Winfield. Views expressed are not those of Edinburgh College.